Odisha Police Recruitment 2018 has announced a total of 1722 vacancies for the post of Civil Constable. Candidates can submit the application form of Odisha Police recruitment till July 26, 2018 (5 pm). The application process started from July 2, 2018. Read below for more details regarding Odisha Police recruitment 2018 for Civil Constable post. Age limit: Candidates must be 18 to 23 years of age as on January 1, 2018. Age relaxation: Relaxation of age in upper age limit for candidates belonging to SC, ST, OBC and female candidates is 5 years. Educational qualification: To be eligible, candidates must have passed class 12 or equivalent exam from a recognised Board. Candidates must also be able to speak, read and write Odia and should have taken and passed Odia in class 10 examination. Odisha Police Civil Constable Application Form: The application form of Odisha Police Civil Constable have to be filled offline. Candidates have to download the application form from the official website and fill the required column as per the details asked. Candidates have to send filled application form along with photocopies of relevant documents and bank draft/postal order of Rs. 50 as cost of application form to concerned District Superintendents of Police/ Deputy Commissioner of Police (Headquarters), Bhubaneswar. Examination Fee: Candidates belonging to general and OBC categories must pay Rs. 150 as exam fee through bank draft or postal order in favour of concerned Superintendent of Police of district. However, SC and ST candidates are exempted from paying the examination fee. 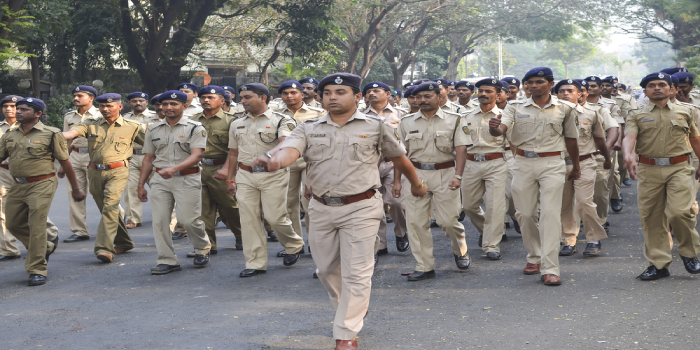 Odisha Police Recruitment 2018 Selection Process: Candidates will be selected for the post of Civil Constable in Odisha Police based on their performance in written examination, Physical Measurement and Physical Efficiency Test (PET) and driving test. However, candidates with educational achievements, sports achievements and National Cadet Crops Certificate (NCC) will be allotted additional marks.